Disclaimer: This tie was provided to me by Vecchio Anseatico at no cost to me in exchange for an honest review. This post is long overdue. 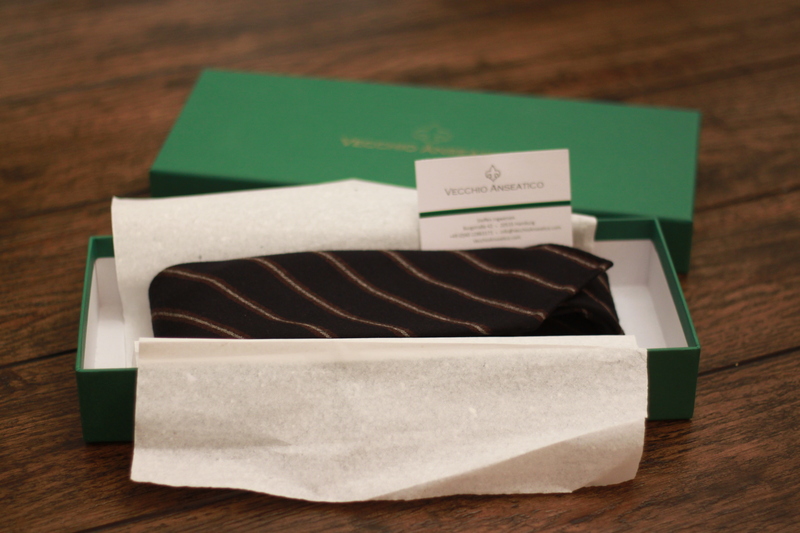 Several months ago, Steffen Ingwersen – owner of Vecchio Anseatico reached out to me and asked if I’d like to review one of the ties from his Spring/Summer collection. I excitedly accepted his offer. I’ve worn the tie several times now, yet somehow have managed not to put my thoughts down to share with you. Sorry Steffen! Started by Steffen around a year ago, there are a number of interesting things about this tie-maker. First, the name: Vecchio Anseatico. A direct translation references the old Hanseatic League – a group of German merchants that formed a coalition to ensure their trade interests were protected. The league spread all across Europe in the 12th and 13th centuries. A fitting name considering the provenance of the materials they use in their products. Fabrics are sourced mostly from English and Italian mills, and hand-crafted by a family owned shop in Como, Italy. Initially, their products were offered through crowd-funding, but you can see they carry stock on their website as well. Each season, Steffen carefully selects an eclectic range of fabrics to be made up. 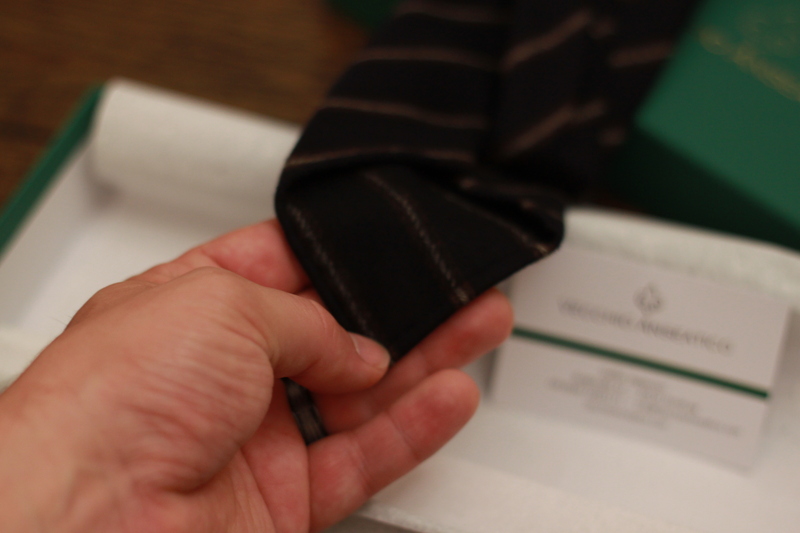 Crafted in small batches, there is some exclusivity to owning a tie from Vecchio Anseatico. They do offer pocket squares and what look to be beautiful hand-made gloves available in peccary, carpincho and deer skin. When I first handled the tie, I was taken aback at how stiff the interlining felt. 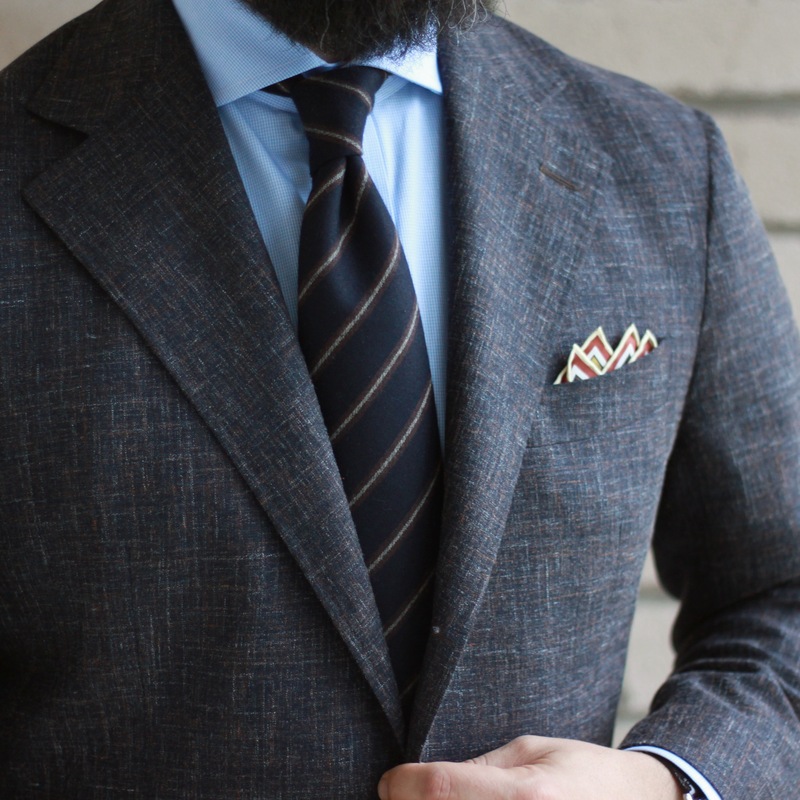 It is the stiffest and heaviest I’ve handled, and it seemed at odds with the beautifully soft hand of the fabric from Holland & Sherry that the tie is made up in. Flipping it over, there is a nicely finished keeper, and the little bar tack in what I assume is their signature shade of green. Overall construction is well done, including the hand-rolled edges. I did notice that one side of the blade the hand-rolled edge is a little flat. It’s not a deficiency by any means, rather a touch of inconsistency that comes with a hand-made product. Tying a knot – I wasn’t sure what to expect with regards to the heavy interlining. My ties from Vanda all produce fantastic knots, and they are very light. 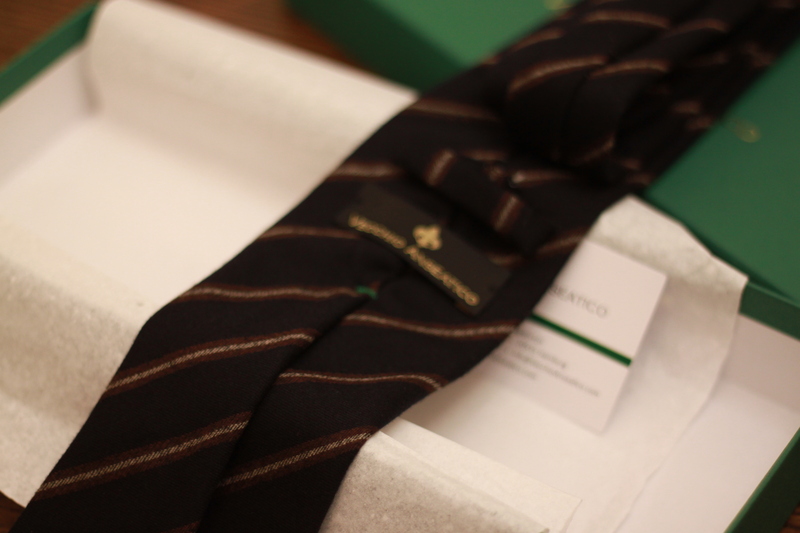 However, once I cinched the knot of this Vecchio Anseatico tie, I knew I had something special around my neck. It consistently produces a knot that is nicely sized for my collars, has just the right amount of asymmetry and the dimple is excellent. The best part is that because I got the knot right the first time, this interlining has a memory. Same deep dimple every time. What’s extra cool is that the second I take it off, the tie is almost immediately flat – no wrinkles or creases from being tightly tied. 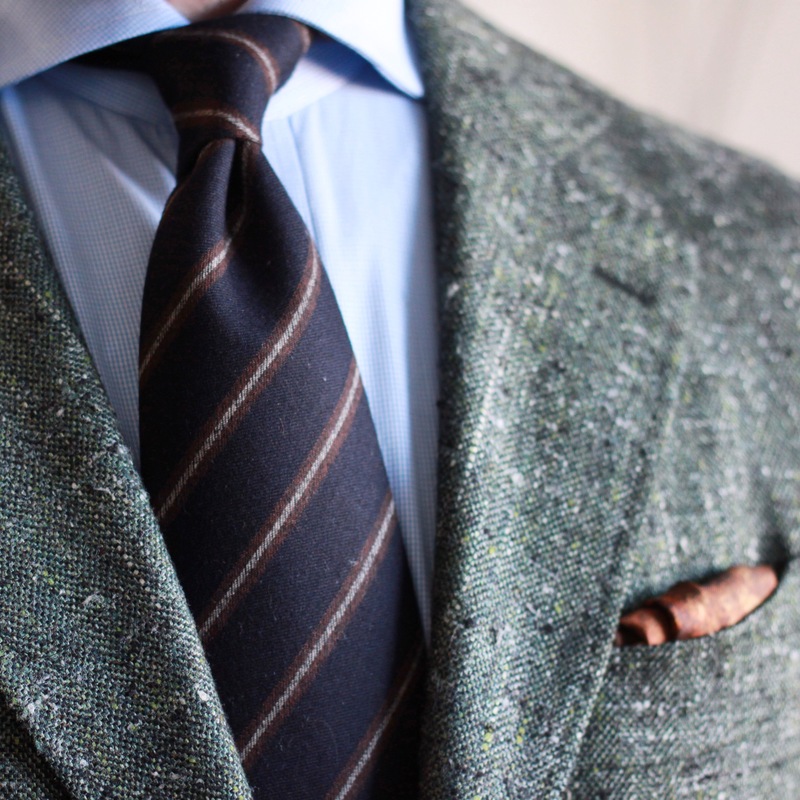 The fabric of this tie is interesting – 98% wool, 1% cashmere and 1% silver mink. The hand is incredibly soft and luxurious. I was a bit surprised at it being offered in a Spring/Summer collection but as I understand it, Steffen fell in love with the fabric and since it was the off-season, was able to pick it up at a reasonable price. I’ve worn it a few times this summer, but will be wearing more frequently as it gets cooler outside. 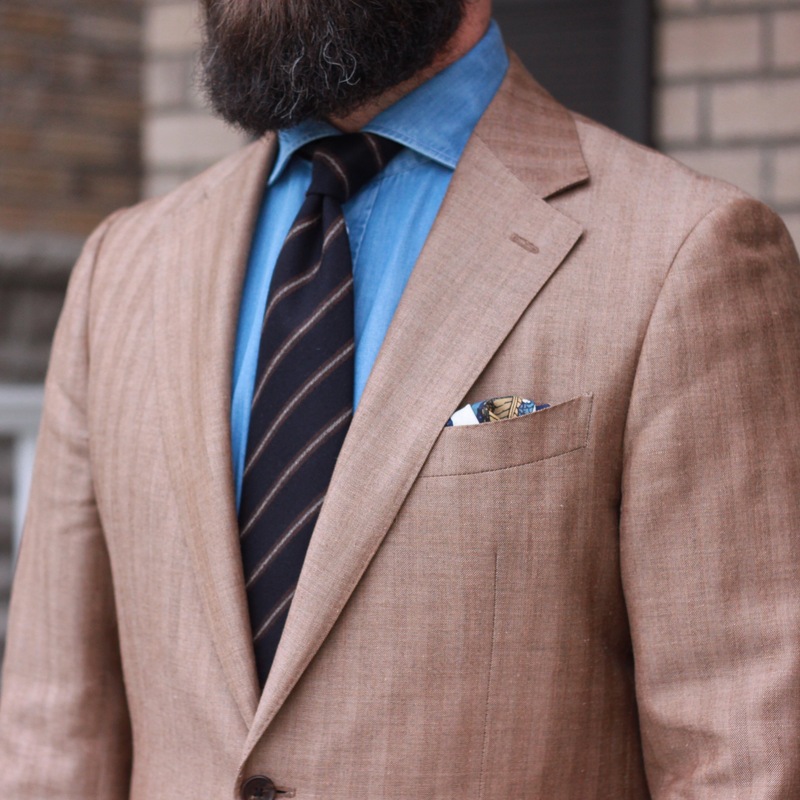 I can see it pairing nicely with a number of my sport coats; navy moleskin, grey tweed and my fawn Donegal come immediately to mind. As I mentioned, this tie produces a fantastic knot. Let’s see some examples. 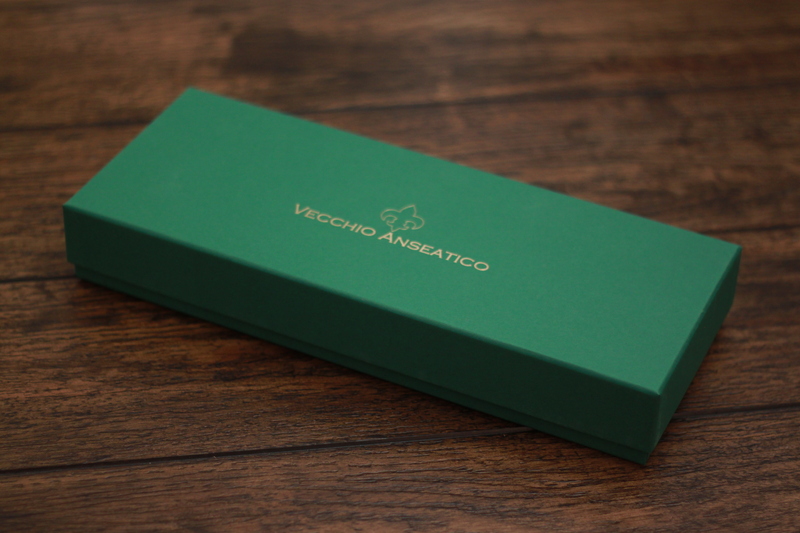 If you have just learned about Vecchio Anseatico, you should probably just head over to their site now. I’m extremely happy with this tie, and I love the selections of fabrics they offer. I happened to get a sneak peak of this F/W collection… wow. This will be their best spread of fabrics, colours and patterns. I know that might not mean much for such a young company, but I think Steffen has an amazing eye for fabrics that will work well as a tie. To be that dialed in after only a short time is a credit to his vision. I’m really looking forward to seeing how they continue to grow.